Good Morning America's tweet - "THEY'RE HERE! Keep tweeting #BLACKPINKonGMA from wherever you are and show us where you're watching from! 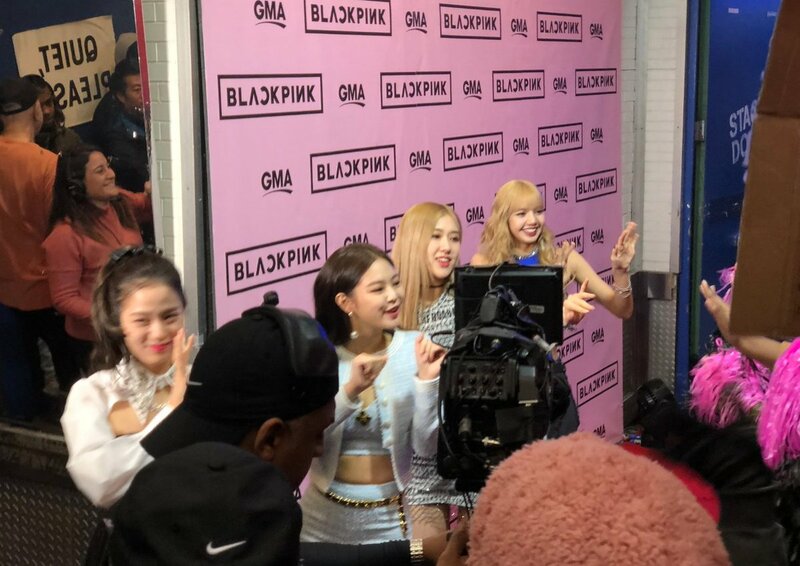 @ygofficialblink #BLACKPINK #블랙핑크 #INYOURAREA "
Keep tweeting #BLACKPINKonGMA from wherever you are and show us where you're watching from! Nerede olursanız olun ve bizi nereden izlerseniz izleyin #BLACKPINKonGMA ile tweet atmaya devam edin! hey man im watching GMA for the first time tho..
BLINK here watching from RIO RANCHO, NEW MEXICO. Stay in your own country..bad influence for young women!! !